To help meet the unmet needs of seniors in our community through acts of kindness, caring, and compassion. 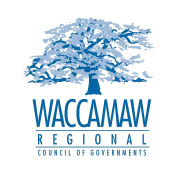 The Volunteers Helping Seniors program is managed by the Waccamaw Regional Council of Governments, Area Agency on Aging, Aging Disability Resource Center. Would you recommend Volunteers Helping Seniors?